How to Stay Sane in a Crazy World – teamgloria, inc.
A global award-winning media executive and former head of digital for Hearst Magazines International, Sophia Stuart led a busy life. Stressed by her impressive, yet taxing career, she started writing and taking photographs—on long business trips and during her infrequent downtime—to decompress. Writing was something she’d done for a living as a journalist back in England. Eventually her musing turned into a character, “gloria”—a trainee angel who passed her time watching old Doris Day movies and whose ability to see the world through rose-colored glasses inspired Sophia to do the same. 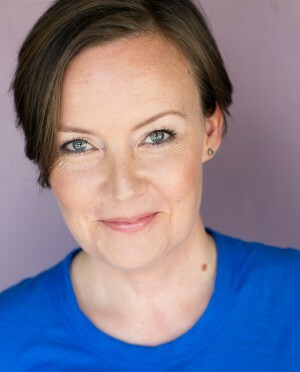 She started her blog, teamgloria.com (2011 – 2014), to give herself a place to write in “gloria”’s voice and document glorious people, places, and things. As Sophia continued to open up to the gloriousness around her, she found her daily stresses starting to ease. And she was going to need “gloria” to get her through what came next. At a doctor’s visit a tumor was found in Sophia’s throat. Over the course of a year, biopsies and ultrasounds would reveal two more tumors and a mass that required a five and a half hour surgery for removal. teamgloria.com became an even more valuable refuge for Sophia and she began to recognize that the documentation of all the glorious things in life could help others in the same way they helped her. 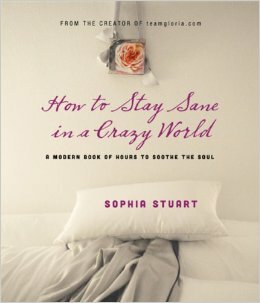 How to Stay Sane in a Crazy World was born from Sophia’s natural instinct to share her musings with a larger community. Arranged in three simple sections— Morning: Inspiration, Afternoon: Perspiration, and Evening: Exhalation­—How to Stay Sane in a Crazy World is an inspirational guide to living fully, peacefully, and surrounded by beauty. With charming photographs throughout­—all of which were taken by Sophia—readers will enjoy this beautiful, simple, honest, and funny book about getting healthy, creating beauty, and when necessary taking to your bed to rest, recuperate, and dream.